"Systematic Installation to your most exacting requirements"
Stanley's have extensive experience in installing water pipes in all manner of ground conditions in both urban and rural locations. Highlighted here is the use of trenching equipment to systematically cut, lay, install and backfill a water pipe. 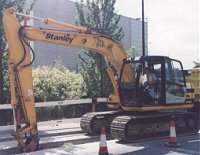 Stanley's can project manage and undertake entire projects using a full compliment of machinery and trained teams to perform excavation, installation, backfill and compaction. 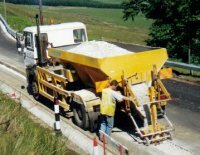 Alternatively, we offer trencher hire. Send mail to webmaster@stanleylanddrainage.co.uk with questions or comments about this web site.